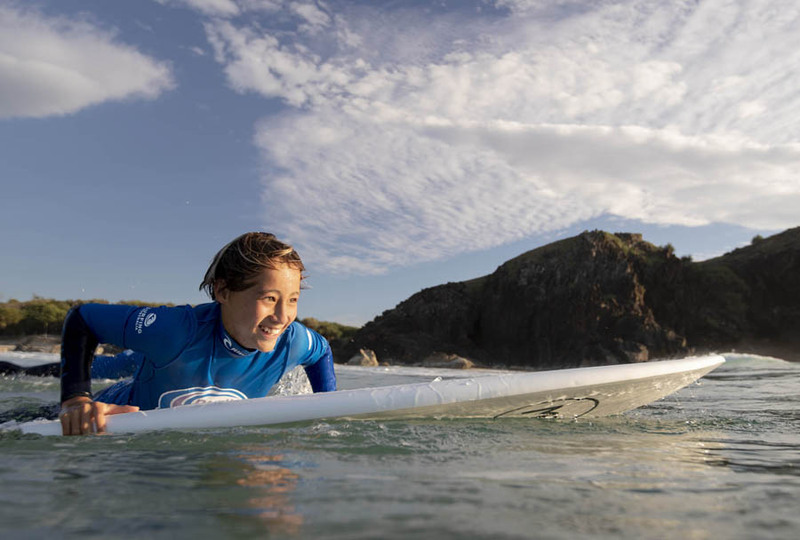 nudie SurfGroms is a national junior development program for 5-12yr olds that encourages kids to participate in surfing around Australia nudie SurfGroms. 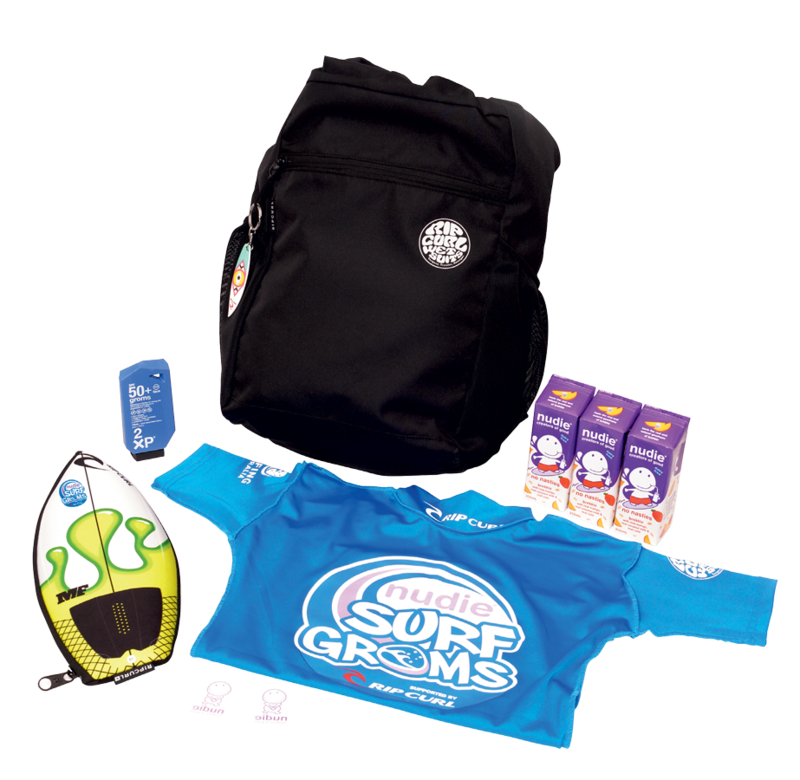 It is available exclusively through licensed Surfing Australia Surf Schools. nudie SurfGroms consists of a series of lessons during school Terms and Holidays. It had been designed to also fit the school curriculum and schools may be eligible for funding to run school sport nudie SurfGroms programs. 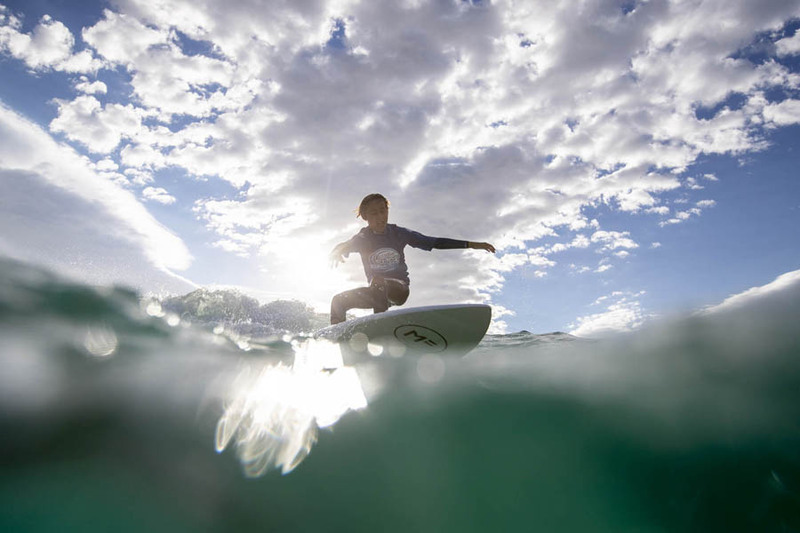 Sign up to our SurfGroms news feed, and receive our latest info and offers! nudie SurfGroms features 5 distinct skill levels in surfing and 3 distinct skills levels in stand-up paddleboarding, each level with its own set of objectives and goals. Each level must be achieved and signed off by your coach before moving onto the next. 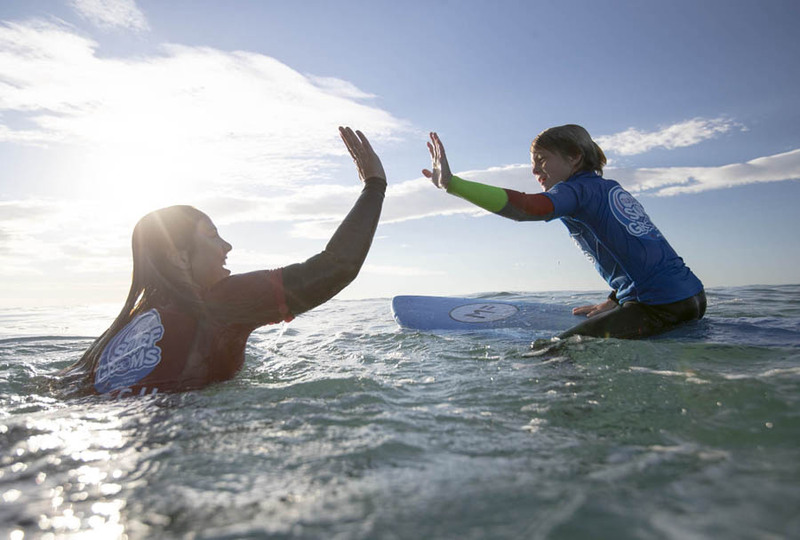 Level 1 is designed for complete beginners as an introduction to surfing and the ocean environment. At the other end of the scale, Level 5 is conducted in 3-4ft conditions, and in which participants must demonstrate a competency in linking manoeuvres together on the open face of a wave and demonstrating a thorough understanding of ocean awareness and beach safety. Throughout the nudie SurfGroms program and each of the 5 skill levels, there is a significant focus on Ocean Awareness and Beach Safety. Surf conditions, etiquette, first aid, and basic surf rescue skills have all been incorporated into the nudie SurfGroms program. Before any nudie SurfGrom receives a completion certificate, they must have successfully demonstrated all of the relevant ocean awareness and beach safety skills for each level. Every nudie SurfGrom will also receive a nudie SurfGroms Logbook that records their progress, along with an exclusive graded wristband and Certificate every time a skill level is completed at the beach. Parents or students to be entitled to organise a Makeup class, you must notify In2Surf Surf School at least 2 hours prior to surf lesson start time, if you or your child will be absent due to illness. It is then your responsibility to organise the Make up with the Surf School before the end of the School Term. If you don’t turn up for a booked Makeup lesson, you will not be entitled to another one. If any surf lesson is cancelled by In2Surf Surfing School due to dangerous or inappropriate conditions, In2Surf Surfing School will always arrange a Makeup class for this cancellation. There is no refund paid for any surf lesson not attended without notification.